It is the state bird of Minnesota, the most recognized bird in New England and on license plates in Maine. But, in Wyoming, the common loon swims mostly under the radar. “Maybe its overshadowed by all the other great animals in Wyoming – like grizzly bears and bison and things you don’t see elsewhere,” said David Evers, executive director of the Biodiversity Research Institute based in Gorham, Maine. Evers and other researchers are not only taking notice of Wyoming loons, but working to protect their dwindling numbers. Lack of notoriety is one reason money and time haven’t been allocated to studying the bird, but that is changing thanks to a $6.5 million grant from the Ricketts Conservation Foundation — the largest sum ever awarded for loon research and conservation, according to Evers. In Wyoming, loons are one of the rarest — if not the rarest — breeding birds, Evers said. They might be hard to see, but they are a bioindicator species, meaning changes in loon populations are often related to changes in water quality. Three years ago, Evers started looking at the loon populations in Yellowstone National Park to gather baseline data and determine if they were declining — a challenge because there was little data on the birds. Still, researchers found the population had dropped to 14 nesting pairs, down from 24 pairs counted in the 1990s. The study caught the attention of the Ricketts Conservation Foundation which gave $6.5 million to the Biodiversity Research Institute to study loons in Wyoming, Montana, Minnesota and Massachusetts. The institute is working with Yellowstone and Grand Teton National Parks, the Bridger-Teton and Caribou-Targhee National Forests and Wyoming Game and Fish to monitor the loons that nest in Wyoming. Wyoming Game and Fish wrote its first non-game management plan in the 1980s and identified all the bird and mammal species that could be at risk. 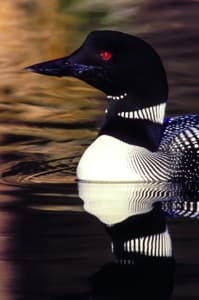 The loon, because of its small and isolated population, was on that list, said Susan Patla, non-game biologist with Game and Fish. Game and Fish started monitoring nesting pairs when it could, but focus was split among many species. It wasn’t until last year that concentrated efforts began on the loon. In the first year, Evers’ study identified the locations of loon nests: ten pairs in Yellowstone, one in Grand Teton National Park and several on national forest land. The study is now looking at potential threats to the loon population. Boaters, fishermen and even hikers can unknowingly disturb nest sites, Evers said. An increasingly fragmented landscape has isolated Wyoming loons, believed to be the most isolated of the nesting populations. Loons need shallow swimming fish like Yellowstone cutthroat trout, which have been decimated by deeper dwelling lake trout on Yellowstone Lake. Climate change poses several threats: Fluctuating water levels can flood nests, droughts can dry up pristine habitat and warming trends can encourage lily pads to grow in once clear areas. Identifying the threats quickly is important to the future of the birds, Evers said. Loons are poor colonizers, so if the population bottoms out in Wyoming, it might never return. Studying loons is a challenge because the birds are migratory. Several pairs identified last summer in Yellowstone haven’t yet been spotted. If they don’t return, researches won’t know why. Something could have happened during migration. 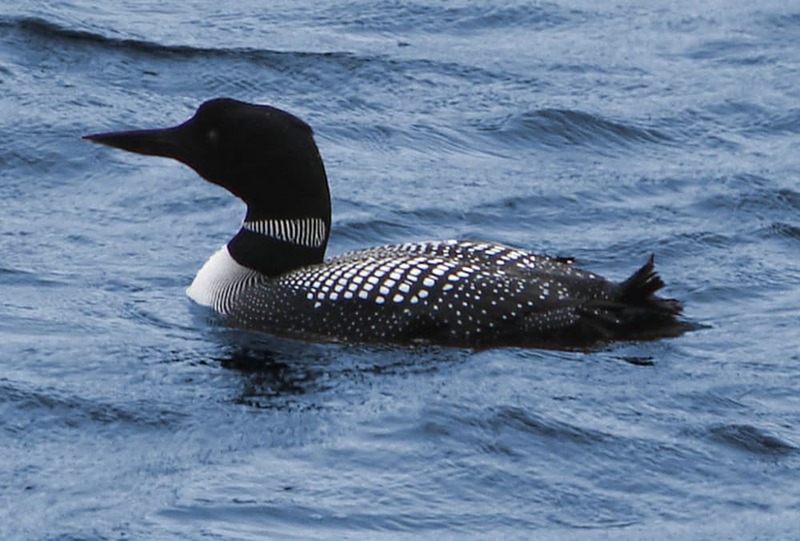 Loons often spend winter near the ocean and face threats like oil spills and commercial fishing nets. Eventually, Evers would like to fit some of Wyoming’s loons with geolocators to track where they go and see what happens to them after they leave the state. Researchers also plan to put cameras on the nests to monitor threats on the nesting areas. Now that they know where the nest sites are, they can also institute seasonal closures (late May to mid-July) to protect the areas. 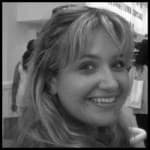 They may also be able to create artificial nesting platforms in safe areas. Loons can’t walk on land because their legs are situated so far back on their bodies, Patla said. They are adept swimmers and divers, but can only slide a short distance on their bellies while on land. 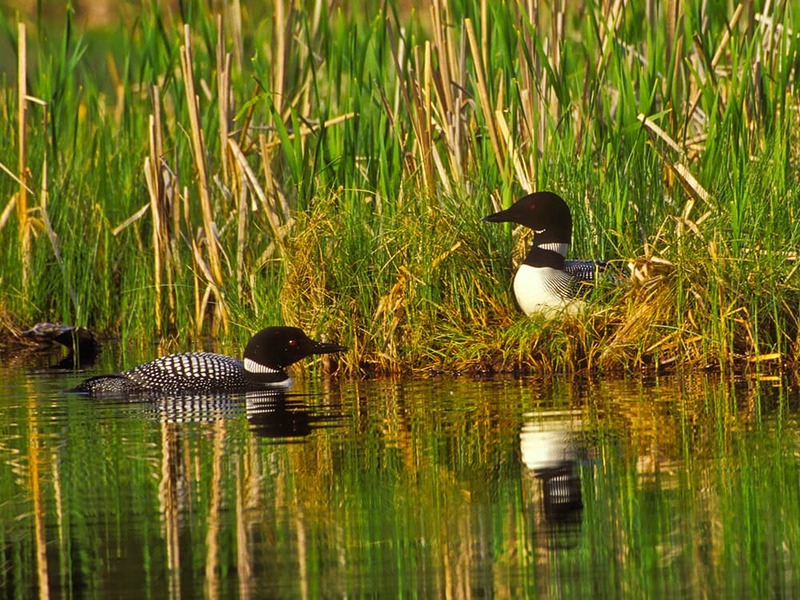 Loons like to nest on islands, which usually provide protection from some predators like coyotes or foxes. They also need clear water and access to small fish. 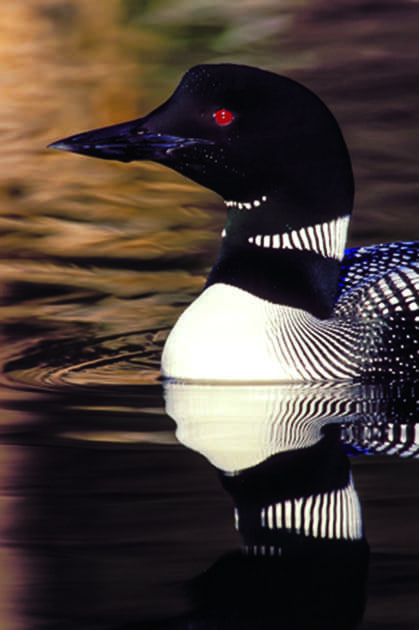 “If your loon population is steady, I think that means our lakes are in good order,” Evers said. Evers would feel comfortable if the population reached 25 to 30 pairs, with birds producing a chick every other year on average, he said. Loons can live up to 30 years and breed for much of their lifetimes. Currently, loons are reproducing enough to replace the parents. The population, while small, is holding steady. 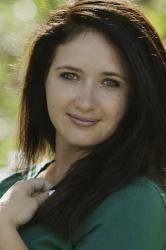 It is likely the population will never climb to a comfortable number where the birds aren’t in danger, Patla said. The money from the Ricketts Conservation Fund allows for dedicated study of the birds, something that might not otherwise have happened. And while the loon population is stable, it wouldn’t take much for it to not just decline, but vanish.